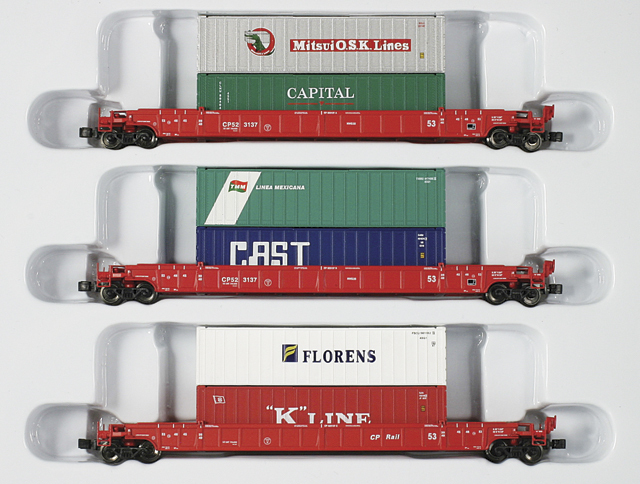 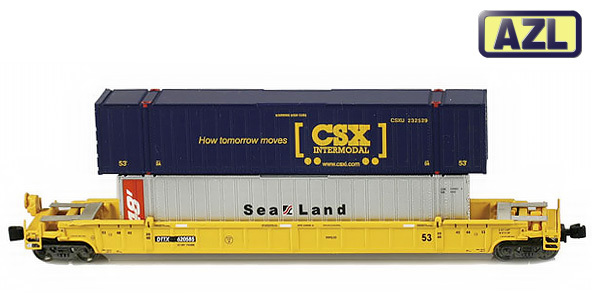 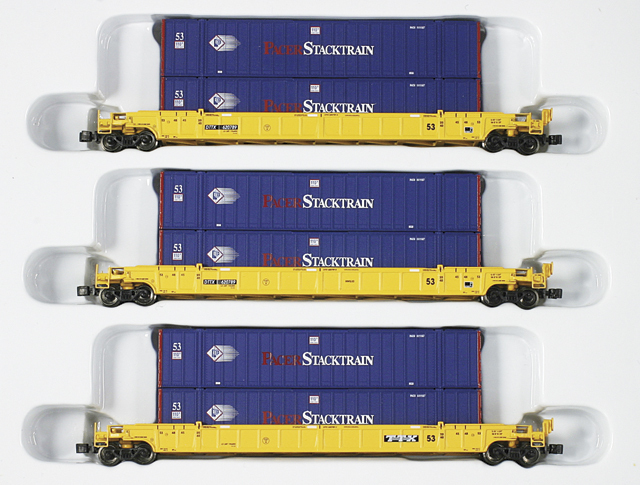 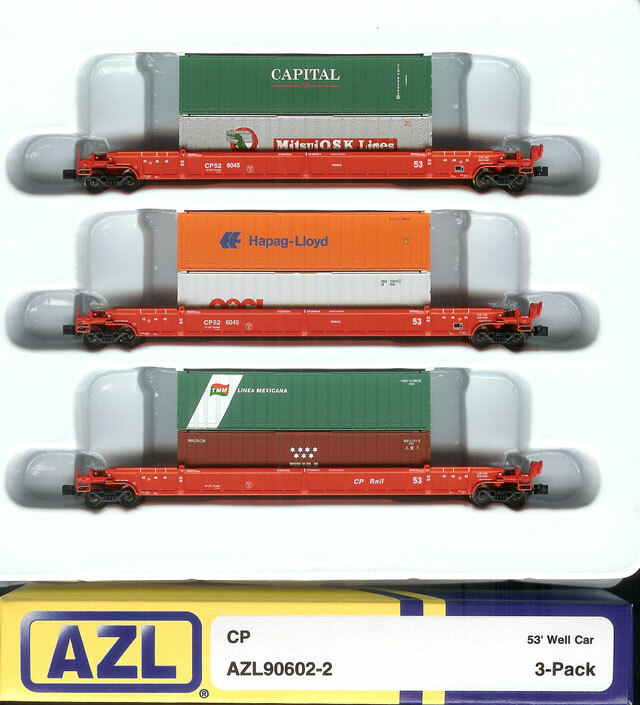 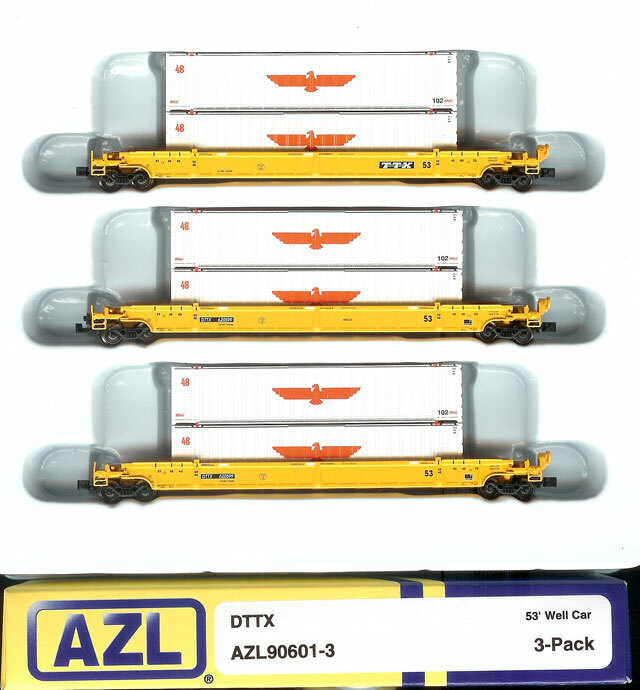 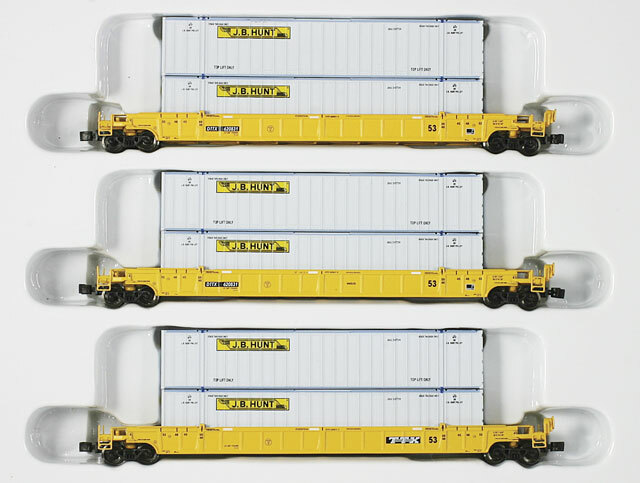 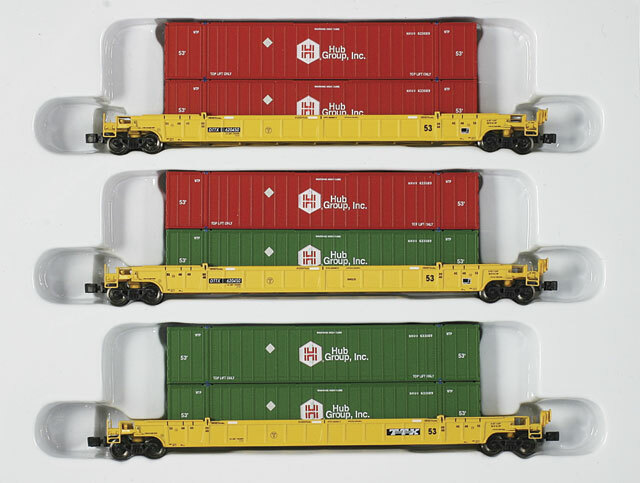 A well car, also known as a double-stack car or stack car, is a type of railroad car specially designed to carry intermodal containers (shipping containers) used in intermodal freight transport. 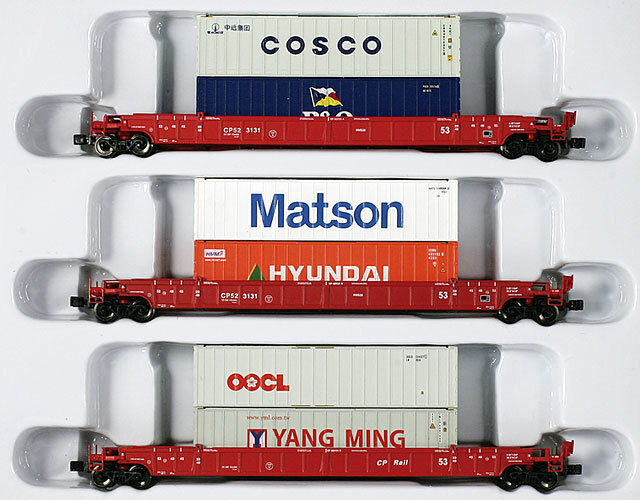 The “well” is a depressed section which sits close to the rails between the wheel trucks of the car, allowing a container to be carried lower than on a traditional flatcar. 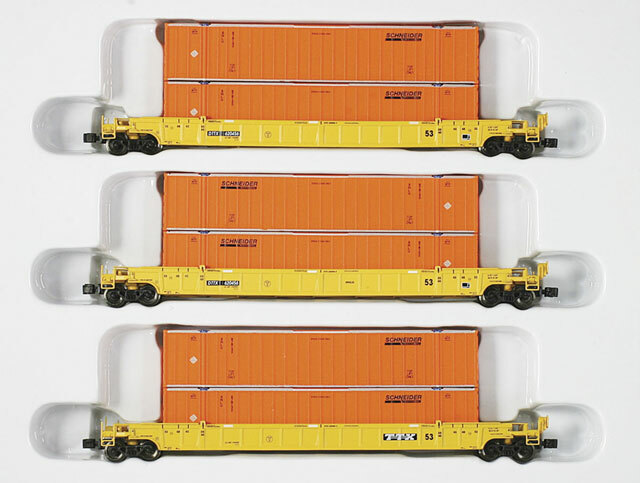 This makes double-stack rail transport possible. 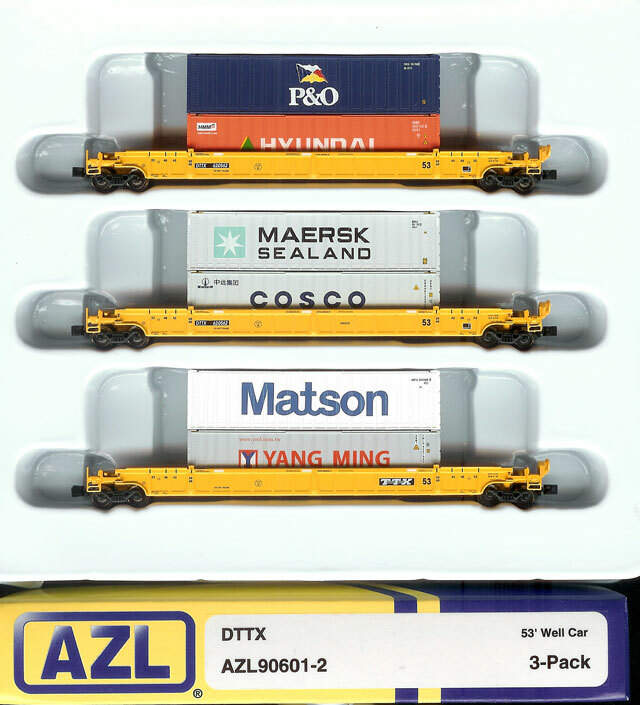 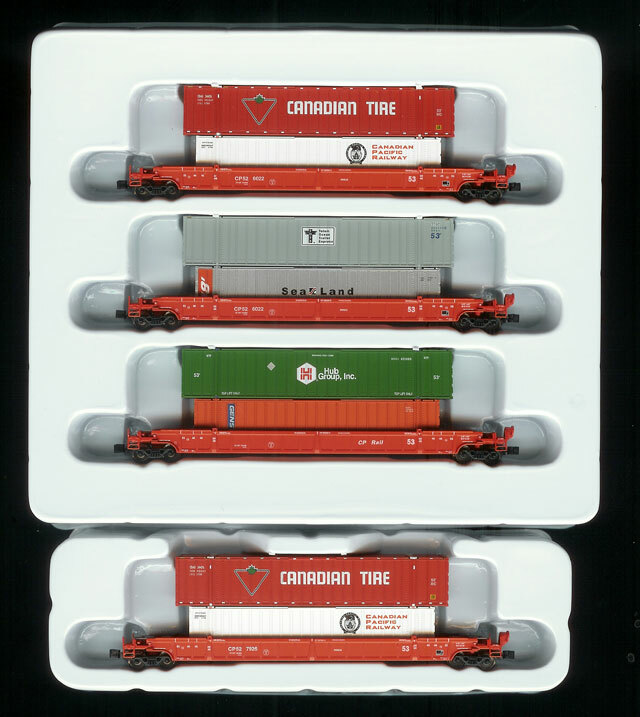 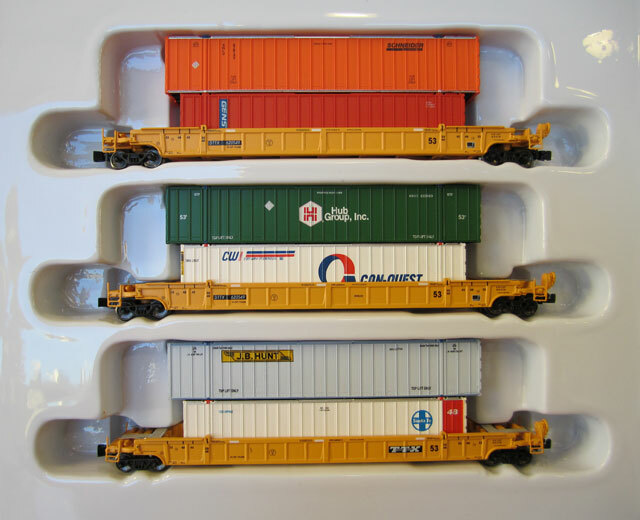 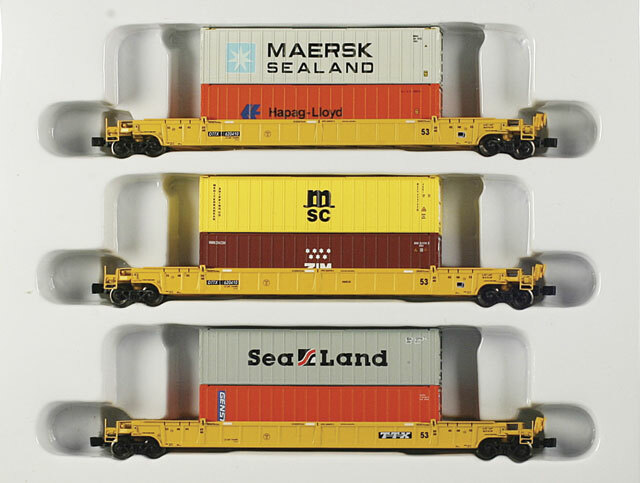 Double-stack cars are most common in North America where intermodal traffic is heavy and electrification is less widespread; thus overhead clearances are typically more manageable.